Another year passed by, another birthday cheesecake for Josh! For Josh it must be cheesecake and it must involve peanut butter cups. I try different variations every year so it’s not the same ole cake. Last year I made a layer of peanut butter cheesecake topped by a layer of chocolate cheesecake, swirled the two together and sprinkled peanut butter cups over top. 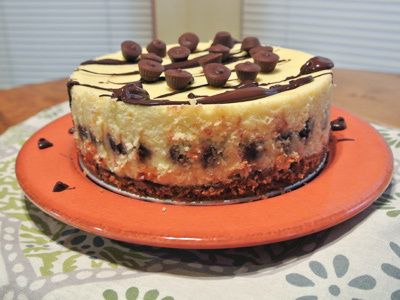 He liked it, however he prefers a plain cheesecake with peanut butter cups, chocolate, and peanut butter as layers so he can savor each individual flavor. So I went back to the drawing board and came up with this. 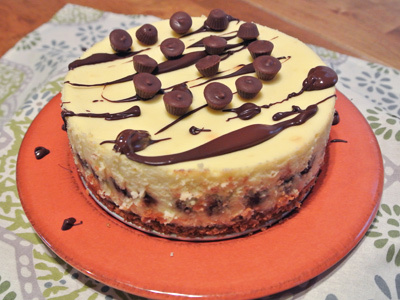 It’s a smaller version, a 6 inch cheesecake with little mini peanut butter cups that are so cute! I made a center layer of mini peanut butter cups with a drizzle of melted chocolate and a few peanut butter cups on top just for decor. I don’t know what’s in store for next year’s birthday treat but I’m sure it will include chocolate and peanut butter and cheesecake! For a 6 inch springform pan you’ll need 3/4 cup of graham cracker crumbs for the crust. About 1/2 packet of graham crackers will be perfect. To that add 1 tablespoon of sugar. 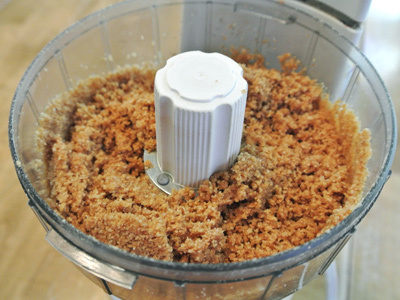 Pulse the graham crackers and sugar in a food processor until you have fine crumbs. Then add 3 tablespoons of melted butter and blend until it’s all combined. Easier than mixing with a fork. Prep your springform pan by placing 2 sheets of aluminum foil up and around the sides of the pan, crimping them at the top. This will seal out any moisture from entering the pan while baking. 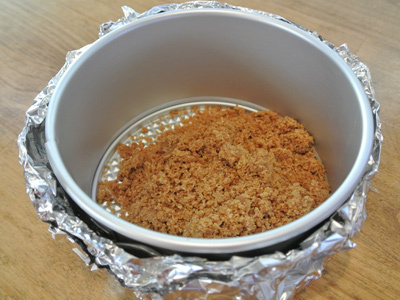 Pour the graham cracker crumbs into the springform pan and press into the bottom of the pan with your fingers. Now place into a preheated 375 oven for 6 minutes. It should be slightly crisp and browned. Remove from oven and let cool. The cheesecake ingredients are 2 (8 ounce) packages of cream cheese, 1/2 cup of sugar, 2 eggs, 1/4 cup heavy cream and 1/2 tablespoon vanilla. 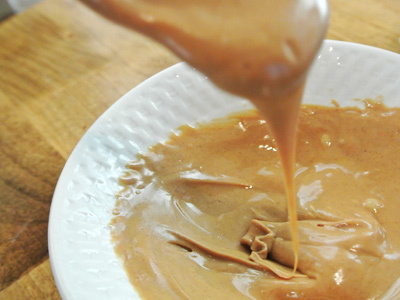 Melt 1/3 cup of creamy peanut butter in the microwave for 30 seconds or just until it will pour easily. Pour over your graham cracker crust and spread with a spatula. It should make a nice layer like this. 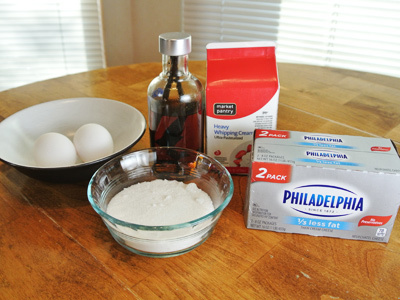 Set aside while you make the cream cheese mixture. If you have allowed the cream cheese sit out to room temperature it will blend easily. But if it is cold, just place in the microwave for 20 – 30 seconds until it is soft and then place in a mixing bowl. 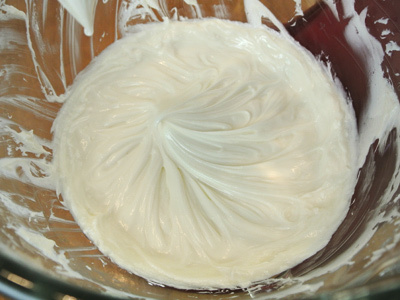 Blend on medium speed of a mixer until the cream cheese is light and fluffy. You want to get rid of as many lumps as possible. 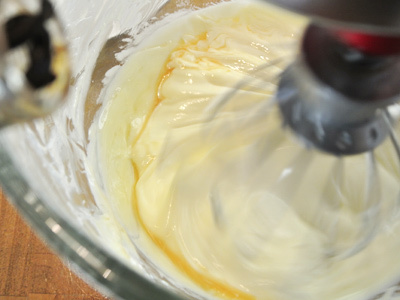 Now add the heavy cream and vanilla and mix about 3 – 4 minutes until really smooth. 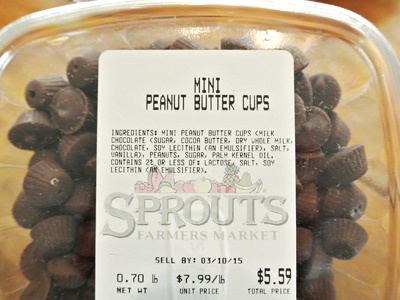 Here are the mini peanut butter cups I found. They will make a layer around the center of the cake. 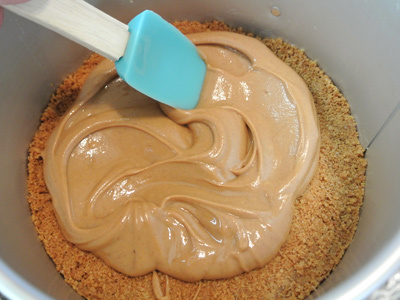 Pour about half of the cream cheese mixture over the peanut butter and graham cracker crust. Then drop the peanut butter cups one by one to get a single layer in the center of the cake. Pour the remaining half of cheesecake mixture over the top. Place the pan into a 13 x 9 baking dish and pour boiling water into the pan to ride at least 2 inches up the side of the springform pan. 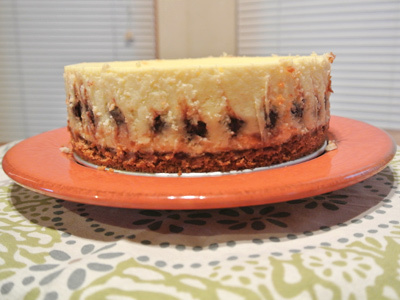 This will serve as a water bath for your cheesecake and help preserve your top crust from cracking. Gently place into preheated 350 degree oven so that the hot water doesn’t splash out and burn you. It should bake for approximately 1 hour 30 minutes. Once the filling is set and no longer jiggles in the center it is done. Turn off the heat and open the oven door slightly and let the cake cool to room temperature for 1 hour. 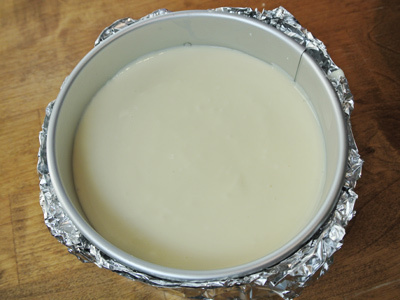 Then place a layer of aluminum foil over the top and set in the refrigerator for several hours or overnight before removing from springform pan. Take a knife and gently loosen around the edges of the springform pan before releasing the springs. What a beautiful cake! All it needed was a little decoration on top. A little melted chocolate and a few more mini peanut butter cups made it perfect! 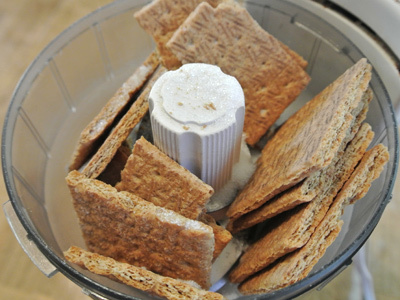 To make graham cracker crust, place 1/2 package of graham crackers in a food processor along with 1 tablespoon of sugar and pulse until texture resembles fine crumbs. 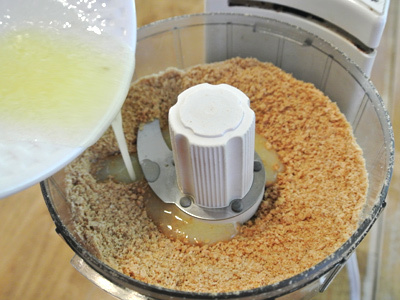 Melt butter in a microwave and pour into the food processor along with the crumbs and pulse until blended well. Prepare a 6 inch springform pan with 2 sheets of aluminum foil. Place one sheet on top of the other making a criss cross, then fold up and along the sides of the springform pan making sure to crimp the foil along the top edge of the pan. This will ensure no moisture or water leaks into the pan while baking. 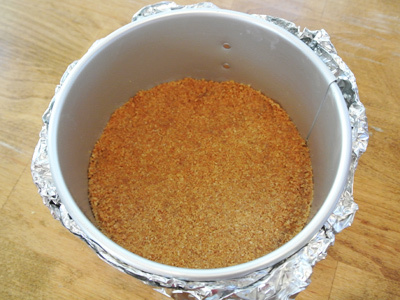 Pour the graham cracker crumbs into the pan and press into the bottom of the pan with your fingers. Place into the preheated oven for 6 minutes. It should be slightly crisp and brown to the touch. Remove from oven and let cool. 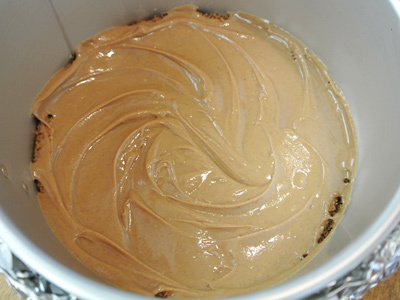 Warm the peanut butter in a microwave on high for 20 – 30 seconds until is smooth and will pour easily. Pour over the cooled graham cracker crust and spread with a spatula. Set aside. 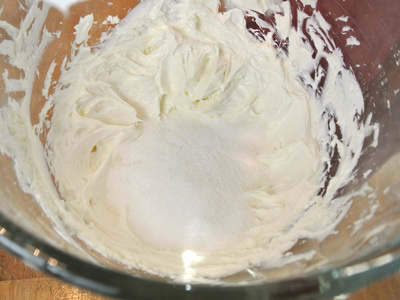 In a mixing bowl of a stand mixer beat cream cheese until smooth and creamy. 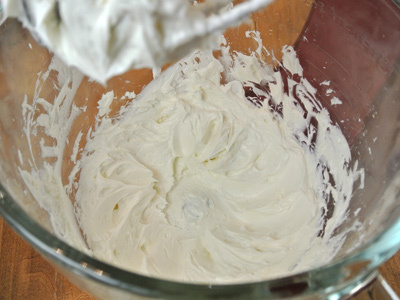 Beat several minutes if necessary to get rid of any lumps in the cream cheese. Once you have a smooth consistency add sugar and beat until smooth. 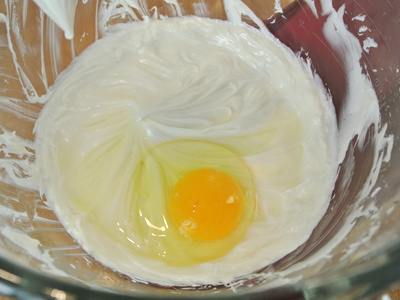 Add the eggs one at a time, mixing after each addition. 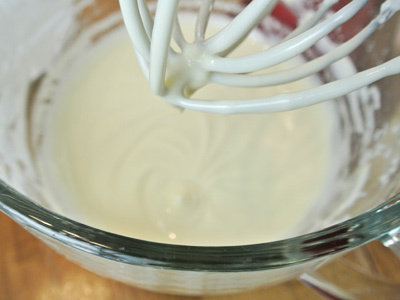 Add the heavy cream and vanilla and beat until smooth 3 – 4 minutes. Pour approximately half of the cream cheese mixture over the peanut butter layer in the springform pan. Drop a single layer of mini peanut butter cups (approximately 2 cups) on top of the cream cheese mixture. Then pour the remaining cream cheese mixture over top. 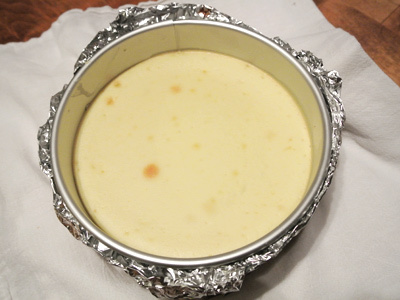 Place the filled cheesecake into a 13 x 9 baking dish Carefully pour the boiling water into the large pan to reach halfway up the sides of the springform pan. Bake for 1 hour 30 minutes or just until the filling is set and just barely jiggles in the center. When the cake has finished baking, turn off the oven and crack the oven door and allow the cake to cool to room temperature for 1 hour. 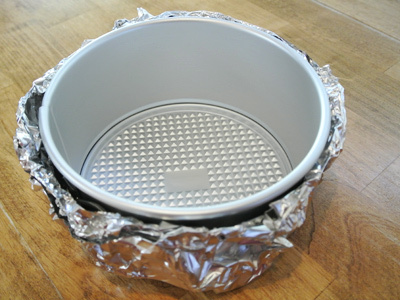 Place aluminum foil on the top of the springform pan and place cake in the refrigerator for several hours or overnight. Run knife around the edges of the inside of the springform pan before releasing the springs. Cake should release easily from pan. 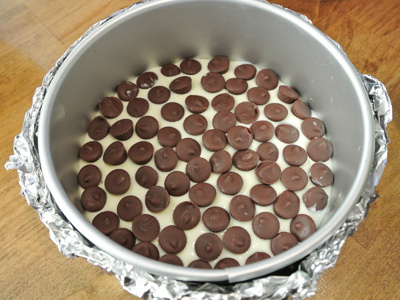 Drizzle melted chocolate chips over cake and place a few mini peanut butter cups over top for decoration.